FMC 2 - AMBER P.B. Full Moon Choir Take 2! July. 2014 - Regina Public Library, Regina, SK. 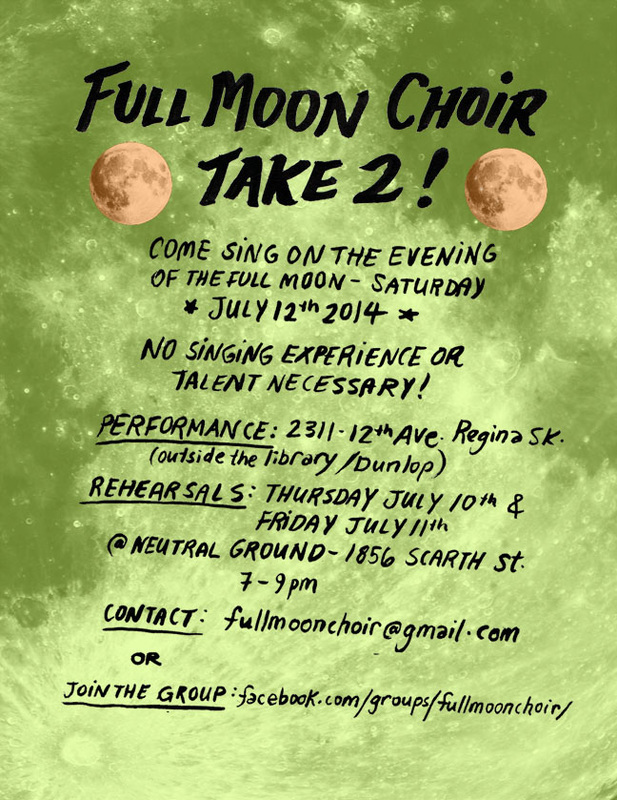 A collaborative singing performance and Full Moon Ritual in downtown Regina. A small group of musicians were assembled and performed under the moniker "Full Moon Band." A short repertoire of well known moon themed-songs were performed by the Full Moon Band, accompanied by a choir of willing participants in attendance at the event. In collaboration with Jeff Meldrum, Anna Rae Bagdasarian, Fred Kramer and The Dunl﻿op Art G﻿allery.